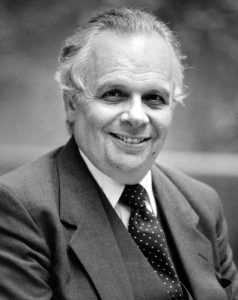 The Fordham Law community is saddened by the death of Fordham Law Professor Emeritus Robert M. Byrn ’59. Professor Byrn passed away on February 3. He was 85 years old. Professor Byrn joined the Fordham Law faculty in 1963, after serving as an associate at the New York law firm Hughes, Hubbard and Reed for four years. At Fordham, he taught torts, criminal law, and remedies. In 1986, then Dean John Feerick ’61 appointed Professor Byrn acting associate dean of Fordham Law. The following year Professor Byrn was named the Leonard F. Manning Distinguished Professor for his outstanding contributions to the Law School. He retired in 1994, after 31 years of teaching. Among Professor Byrn’s scholarship is Cases and Materials on Remedies, published in 1982. His professional and civic affiliations include past service as a member of the youth board of the city’s human resources administration, the archdiocese’s public affairs committee, Fordham University’s hearing committee, and the New York Governor’s Commission to Review Abortion Law. Professor Byrn also volunteered at Covenant House, teaching GED courses, and at St. Clare’s Hospital (later St. Vincent’s Midtown Hospital), visiting AIDS patients, as well as at Cabrini Medical Center, Terence Cardinal Cooke Nursing Home, and Goldwater Memorial Hospital on Roosevelt Island. A 1953 graduate of Fordham University School of Business (now Gabelli School of Business), Professor Byrn earned his J.D. degree six years later from Fordham Law, where he was an associate editor of the Fordham Law Review. The funeral mass will take place at 10 a.m. on February 22 at the Parish of the Holy Cross, 95 Old Nichols Road, Nesconset, NY 11767.